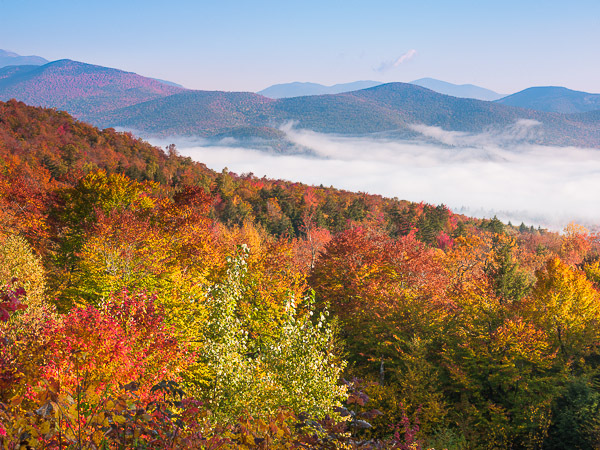 Cool autumn morning fog breaks away in the White Mountains of New Hampshire. A sunny perfect day for strolling through the mountain range. Photo © copyright by Lance B. Carter.